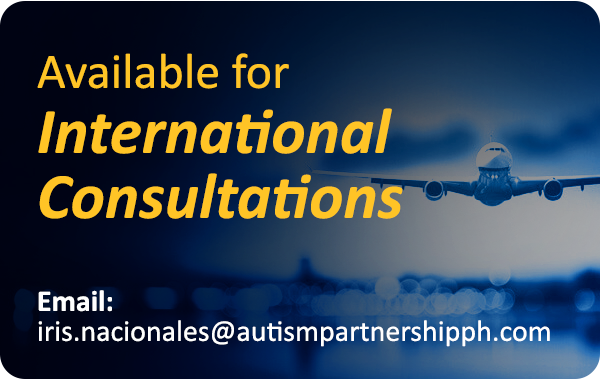 Children with Autism Spectrum Disorder (ASD) often have deficits in communication. Some of them may be non-verbal, while some can speak, but seldom speak spontaneously. They may not ask questions or make comments on their own, and may also have difficulties using language effectively or in appropriate situations. Most parents feel stressed when they face these situations. To improve your child to speak spontaneously, you can create opportunities for your child to initiate communication using a technique called “Communication Temptations”. Communication Temptations means just what the wording suggests: we set up the environment to tempt children to communicate with us. A child is much more likely to communicate if there are reasons to do so. Described by Wetherby & Prizant (1989), communication temptations are used to increase a student’s desire to communicate, and make communication fun. It also enables to establish the power of communication and increase children’s use of spontaneous language. Additionally, it can help the children to speak in the appropriate situations. 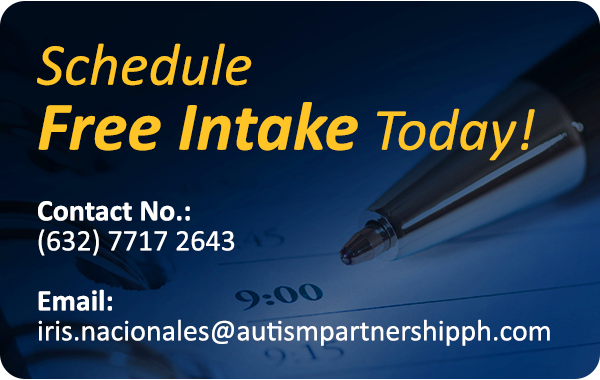 Requesting is often the easiest form of communication for children with ASD and here are the few steps to teach your child to make request for a specific target. a. At the beginning, we can choose targets for the child to request for (his favorite food or toys.) If you child love cars, “Car” can be your target. c. If your child is able to make a request, you can now make your child to ask questions “Can I play with the car?” The targets you decide are based on your child’s needs. Again, you need to choose the target that he has motivation to speak or request for. Otherwise, he/she may not speak spontaneously or be dependent on your help or prompting. 2. Set up the situation. a. Choose an activity that is related to your targets (example: if your child likes toy trains, you can then set up the train track together). Again, you need to choose the target that your child has motivation to speak or request for. Otherwise, he/she may not speak spontaneously or be dependent on your help or prompting. If your child does not know how to say the target word, then we need to provide a modeling prompt and let the child make an association between the actual item and the sound of the word. Provide a modeling prompt by saying the word or phrase you want your child to repeat, and give the items to the child. The timing of this procedure has to be accurate; once you provide the modeling prompt, we need to let the child access the item immediately. Otherwise, the child may not make the association between the sound of word and the actual items. After the few trials of free access to the item with your modeling prompt, we can require the child imitate what we said. Once he grabs the item, we hold it and provide the modeling prompt. We pause and wait for him to imitate the word. After he says the word, we give him the items immediately and re-articulate what we want him to say. For instance, “Car” is our target. a. Play the car with him, once he wants to get the car, we hold the car, and say “Car”. b. Then, we pause and wait for him to say “Car”. (Notes: It is ok if the sound he makes is off, what we now focusing is to make him to speak spontaneously. c. When he speaks, we re-articulate what he said “Car”. Remember re-articulation is important because it lets the child hear what word or phrase we want him to speak. Furthermore, we do not give any negative feedback when the student cannot exactly say what we want him to say. Otherwise, the motivation to speak may be reduced and we may discourage the child to speak. After your child understands the power of communication and starts to speak the target word, we can gradually fade out our modelling prompt. This can help the child to do the target independently. Avoid providing too many questions (example: What do you want? Is this what you wan? You tell me! ), otherwise your child will be heavily dependent on your questions. Providing more opportunities and increasing the repetition for your child to practice the target. 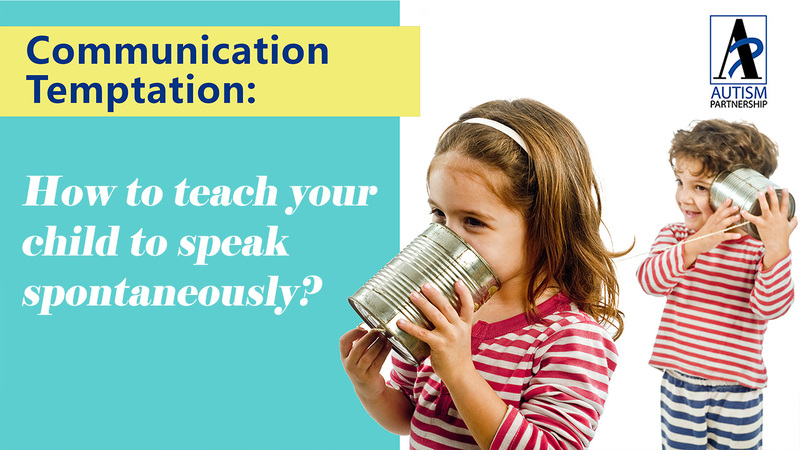 Whenever you are playing with his favorite toys, activities or having his snack with him, you can practice communication temptation (10-20 mins each time) with your child! After you child can spontaneously use the target word, you can find different family members/teacher to practice with them. Also, you can set up different situations for him to practice the same target.